Spine injuries are not only related to professional sports but also to recreational ones, and they can occur during competitions and training. The main mechanisms to these injuries in sports practice are the direct trauma of a specific anatomical structure or supraphysiological stress on the spine. Cervical, lumbar, and thoracolumbar spines are the anatomical sites where lesions can occur in sports practice; but the latter is the most affected and represents 10% of all injuries caused by sports. Most of them are produced by low-energy trauma which, in turn, results in complete rehabilitation without sequelae. However, spine injuries can also cause significant injuries that involve the spinal cord and nerve roots, and, therefore, there are potentially dangerous sequelae such as tetraplegia. High-energy trauma to the spine is more prevalent in sports such as football, ice hockey, wrestling, diving, skiing, rugby, and motorized sports which have a greater risk of developing serious injuries. Consequently, spine injuries in sports present a broad clinical spectrum ranging from non-specific low back pain to paraplegia. 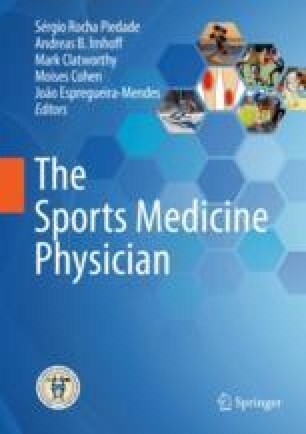 In this chapter, spinal injuries during sports practice are described; their biomechanical, epidemiologic, and anatomic aspects are studied as well as the athletes’ rehabilitation and return to play. International Rugby Board. Available at www.irb.com. Accessed 27 Jul 2006.